A friend here on Wealthy Affiliate nicknamed me "The RV Lady" and it struck a nice chord with me. I'm not just about RV travel though. I'm also working on building three websites/blogs and a budding affiliate practice for increased income. I love writing blog posts, articles, website content and critiquing same. RV travel and discovering/sharing creative ways to fund RV adventures are my main focus points. I've also expanded my interests to health & fitness, Keto life style and CBD oil. Among these things I've grown a nice following on Etsy with y handmade leather journals. This creative outlet not only helps to add to my revenue, the supplies needed to make these items take very little room to store in a smaller RV space. I have a bit more work to do but I've made great headway on my travel website: RVRoadMasters.com. My other sites and social media links can be found in the lower right margin of my profile. Please feel free to stop by and leave a comment if you're inclined. I'll be happy to do the same for you. We all have an amazing opportunity here at Wealthy Affiliate to create to our hearts' greatest desires. As 2017 comes to a close, take stock in your accomplishments this past year and look forward to 2018 with wonder and a desire for making the most of the treasures we have at our fingertips here at WA. Yes, thank you for following. And I am hungry to get started. I finding so much information for goals to success. This is surely a great opportunity with just what I need to develop independence and dreams. Thank you for following me back, Jonathan. I've been with WA for two years now and I love it! Hi ! It's kismet that I found you, Sue! (I've only written one post so far, but if you read it, you'll definitely understand what I mean by that.) I just now barely found you and am sending you this message before I've read your posts, but I look forward to reading them! Hello Ashley, I hope things have been going great for you here at Wealthy Affiliate! This is truly a phenomenal platform and community and it gets better every day. So it is my please to follow you and will have a look at your site as well. Hello Mike, it's great to meet you. That trip you took in an RV sounds amazing. That was quite a trek. Did you stay at an RV park when you got to Los Angeles? No we did not stay in RV park in Los Angeles. We left the RV at Long Beach parking lot. I have always wanted to own a RV. They are beautiful. You have a great background and I know I can learn a lot from you. I will definitely check out your sites. Thanks for following me and I will follow you as well. I wish you all the best in 2018. Hi Marylou, it's so great to meet you. I love living in an RV and traveling when and wherever we can. I look forward to checking out your posts and updates too. Thanks for the follow, Sue. I appreciated the wisdom of one of your responses to a post (I have read so many today, I have no memory any more about which one it might have been!) and thought I needed to garner some more of that wisdom. I'm glad you agreed to network with me, too! Hi Tim, it's great to meet you and complete our connection here. I've been with Wealthy Affiliate for for a little over 1.5 years and I learn something new every day. Looking forward to keeping up with your blog posts and updates. Wish me luck as I start my new endeavor! Hi Todd, welcome to Wealthy Affiliate!! You really are brand new, as of today...that is excellent. It's so great to meet you! Oh goodness, yes, there is room for another RVer in this niche and many, many more. I'm excited for you starting this journey..both with WA and with RVing. If there's ever anything I can help you with, please don't hesitate to connect with me. I'm happy to help in any way I can. So, for now, kick your shoes off, get comfortable and take a nice walk around all that Wealthy Affiliate has to offer. You'll be amazed at all that is available to you. Hi Sue, thank you for following me. I've been following you for some time now and love reading your posts and comments. Not sure how I missed actually "following" you. So thank you! Thank you again, Sue ... looking forward to following you on your journey, here and in your RV! Hi Gary, I'm glad we've now completed our connection here. Thank you for your very nice comments about my website too. It'll be great to follow along on each other's journeys. The name was actually given to me by a member here, VeronicasLuv. It stuck with me! I wish you all the best, Gary. Hi Sue. Thanks for following me. Very cool!!! Thanks again and look forward to your blogs! Hello James, It's great to meet you and complete our connection here on WA. Thank you for following on my social media and other sites. I appreciate that very much. I am also checking out and following you as well. A boy named Sue, "life ain't easy for a boy named sue", very funny lyrics. I think when I see Sue, I think of Peggy Sue, Buddy Holly, two grat icons and three if you do well in affiliate marketing. I've not visited your websites but they sound fun! Will do though. Seasons greetings to you there Peggy........I mean Sue! Well I don't mind if you call me Peggy Sue! I am a Buddy Holly fan too. I intend to do well in affiliate marketing...one step at a time. Wishing you a Merry Christmas and Happy New year. Sorry Sue, following you back, forgot to click! Sue where is the spell checker for these posts? I noticed my grat should have been great. Is there a quick check on the platform? I think I have a xmas haze on my brain, can't see a checker. I'm sure to call you Peggy at some point! Thanks for completing our connection here, Wayne and following me back. No spell checker that I know of, but there is the little down arrow symbol in the upper right side of the comment box and clicking on that will allow you to edit your comment. I only know this from vast experience at having to correct my typing errors! LOL! Hi Sue, thank you for adding me to your network. You sound very accomplished with 3 websites, I'm busy enough with my first and only one. Hey, if you ever need anything just give me a shout and I'll do my best to help you out. I wish you much success! Hi Karl, it's great to meet you and I'm glad we're now connected here on WA. Likewise, if you need anything, let's do what we can to help each other out. Sounds like a good deal to me, thank you! Hello Sue, thank you for allowing me to be part of your network. I have followed you too. I look forward to learning from your experience. At my age, I need all the help I can get. This is all new to me. I'm pretty computer illiterate. I've learned a lot, but sometimes it takes me a while to comprehend. I am getting there. I've set myself some short and long term goals and I'm still on track so I'll get there. Merry Christmas and I'll see you at the top. Hi Don...it's so great to connect with you. Oh, I feel your pain about taking a while to comprehend. I've gone through the entire online entrepreneur courses and feel like I need to go through them all again! LOL! That's great you've set some goals for yourself. It keeps you on track and moving forward. Merry Christmas to you and yours and wishing you a happy and prosperous New Year. Hi Sue, Welcome to WA. I just looked at your RV site. Impressive. Hi Tom, Welcome to WA to you too. It's hard for me to believe I've been here nearly a year already...time sure does fly by! Thank you for the nice comments on my RV site. Actually, I have not done anything yet with the Affiliate Opportunities page. Hopefully, by this weekend, I'll have something up. I also need to connect the buttons on the home page to their respective pages as well. So much to do. So little time. LOL! I checked out your site as well and I'm so impressed! The site itself is well laid out, with great ad placement too. I connected with you on all the social media links you posted and also left a comment on your site. Your posts are well written and set up in a way that draws the reader through each paragraph. I wish you all the best, Tom. Hi Sue, your right! So little time...and sooo much to do! Thanks for looking at my site...THANK YOU! And "this weekend" sounds like a plan! I checked out your website and it's visually very appealing. You have a couple of glitches though. The welcome and about us buttons on the first page don't work and the social network buttons aren't there, just squares. Otherwise a great website. Loved your review of Wealthy Affiliate. How did you set up the first page on your site. I've been trying to set up a page that scrolls down with different information. What theme did you use? Thank you for checking out my website. I appreciate that very much. I knew about the links not working yet but not about the social media icons not being there. I'll have to check that out. I built my site, then tore it all down and started over. So things are kind of still a bit jumbled up. Thank you for your kind comments. I set up the first page with a plug-in called Elementor. It's similar to Divi and using boxes and elements, drag and drop. The theme itself is called OceansWP. I have a great YouTube video on using Elementor. Let me know if you'd like the link. I'm off from my part-time job for the next four days and I plan on mopping up all the miscellaneous links, etc. that I didn't have time to do. Thanks again. All the best to you. I'd love the link to Elementor, I have it on my website but haven't figured out how to use it properly. Here it is Cat, This is by Darrel Wilson. He is so fast in his tutorials but so amazing. I wasn't able to post the link, but on You tube, type in Elementor Tutorial and look for Darrel Wilson. You're so welcome. If you have any questions, let me know. I'll be happy to help. Hi Sue, I am now glued to your site and writings on WA. Deb and I RVed for almost 5 years, full time about 3. Absolutely loved it. We traveled with 2 poodles and our Blog was Traveling with our humans, had an awesome blast. We will be rolling again 2018. I'm glad to read you'll be rolling out again in 2018. I love the name of your blog! Is it still up and running because I'd love to check it out. Hi Sue, It was a freebie blogspot site. Will find link, both poodles are long passed. I have several in the works. Will keep you posted. When you get things up and running, I would love to check out your writing. Hi, Sue. Enjoyed reading your profile. I was a full time RVer for about 5 years. My traveling companion was a vendor at RV rallies, county fairs, etc. that supported our traveling habit. (What better addiction to have?) I made four 50x60 quilts one winter for Christmas gifts. Was somewhat of a challenge to find space to lay them out to put them together. I have a pic of both of my cats sitting in the middle of one of my quilts "helping me". Challenging lifestyle at times, but so much fun! Are you a fulltimer? Following you. Hi Carol, thank you for taking the time to read my profile. Yes, my husband and I are full-timers. We've been doing this about 8 years and are thoroughly invested in this lifestyle. I had been making custom albums for pictures and journaling but stopped because of the space it takes putting them all together. But, I can't even imagine putting quilts together of that size in an RV. Thank you for following me as well. I wish you all the best. It was only an old 36 footer and didn't have any slide outs. It was all we could afford at the time, and we enjoyed it so much. Pretty crowded when quilting, that's for sure. I did the actual quilting in my lap with a large embroidery hoop (space hog! ), but had to spread them out on the queen size bed to assemble them first. My sewing machine lived in the "basement". No other place to put it. Do you do any dry camping, or always stay in RV parks? We found a lot of cost effective spots to stay overnight when we were just going to get up and hit the road again the next day on the way to a show. Why pay for campground amenities we weren't going to use? We did some camp hosting before becoming vendors. Too bad we didn't know about WA back then. I might still be on the road instead of back home in my little mountain cabin by the creek. I do love where I live (rented it as a vacation rental while fulltiming) but I do miss the travel and the people sometimes. Are you members of Escapees? It's an RV club for fulltimers that we really enjoyed. Hi Carol, our little RV is a 25' Tioga and it's perfect for us. I can definitely see spreading out a quilt that size in an RV! LOL! We do dry camp whenever we can. We live in So. CA and love to go to a state beach camping area north of Ventura, CA. For right now, we've both taken on part-time jobs. Mine is at an RV park where I work three days a week and my husband is in maintenance at a local Walmart on the same 3 days. We travel on our four days off. I'm working hard at WA and with several affiliate sites to be able to completely fund our travels. Not a member of Escapees for right now, not until we can officially hit the road once again. I'm enjoying chatting with you about this. I am, too. When we decided to go fulltime, we sold all of the stuff in the apt. in Oceanside, and I moved into the RV while my travel buddy was in the hospital having surgery. We looked like the Beverly Hillbillies when we first moved...boxes everywhere that we sorted and disposed of while staying in an RV park in Oceanside during his recovery. I kept my house in NC and rented it out to tourists as a vacation rental. So when I needed to come home to take care of my mother, I had a place to return to. I can picture what you described, Carol, because our picture was pretty much the same. We had a home in northwest Los Angeles, sold absolutely everything, including our home, with the exception of a few keepsakes in about 10 boxes. Loaded all the boxes into a rented storage unit and took off with only our cat and some clothes. We were homeless! LOL! Well, not really. We didn't even have an RV yet. We drove up the coast and into Washington, looking for just the right rig and found it on the way back down in northern CA. Every time I see a big rig, like a Prevost, I drool and think I'd love to get back on the road. But when I make the $ on WA to get my Prevost, I'm gonna have to find a designated driver cuz it sure ain't gonna be me!! Need someone to drive Miss Daisy!! Paul Mindra here from Ontario, Canada. Welcome to WAU. I have been here since May, 2016. RV's are amazing and I can actually relate to your story. However, I did not make a move in that direction. I look forward to some of your shared experiences. Great Niche, by the way. Hello Paul, it's great to make your acquaintance. Thank you very much for following me back and also thank you for your kind words about my chosen niche. Like Wealthy Affiliate, RV living is a lifestyle choice that I dearly love. Reach out and share when you can on your journeys. The pleasure will be Our's. Thank you, Paul. I will do that. Thank you Sue. I will try again. My problem is that as soon as the pictures appear, they are in a restricted space like a thin horizontal slice, so I can never see a whole picture. To examine them I have to try (VERY difficult) to mini-scroll up and down. Then I select the one I THINK I want but cannot resize it as I am still seeing about 30% of the picture. Any suggestions? And/or anyone else who has had this problem? Here is a walk-through instruction by Carson and below that is a video tutorial by Marlinda. Take a look at both of these and see if they guide you. Another option would be to ask the question in the search box at the top of the page. That way, you can get direct help from other members who have used this new tool. SiteContent Images is Here! Over 1,000,000 Optimized Images. Using the siteContent Image Editor I'm happy to help you too. We're all in this together. Thanks for following me Sue! FYI, since you are an Etsy store owner, you should join their affiliate program too. Though you can't earn commission on sales in your own store, if someone clicks through your link and buys anything from any other store, you earn the commission. I can send you the link to join the Etsy program if you wish. Hi Jeannine, it's great to meet you. Yes, please send me the link. I had not even thought about Etsy having an affiliate program. Thank you for letting me know that. Have you used any of the recently expanded to 1 million images via WA ? I get as far as seeing the 20-odd that fit Happy...VERY small and do not know how to view them all larger? Suddenly one I had selected remained while the other 3 or 4 disappeared. I was advised to drag and drop this one I wanted but it does not work. Hello JeanLouis87! Give me a minute or two to go into Site Content and I'll check that out. I'll get back to you very soon. I've added a picture for you here. This is a screen shot of the little window that pops up when you are in Site Content. The attached image will show you that when you click on the little colored image icon, you type in what you want to look for. You mentioned "happy". You get several "happy" pictures to choose from. Just click on the picture you want to use and you'll be able to adjust the size (crop the picture). You can also choose where in the post you want your picture to be. Under the picture there are several options to choose from, asking what you want to do with the picture. You can choose a name for your picture or simply click on the "save and insert" button on the bottom right of that same window. Your picture will appear in your post. I would suggest experimenting with a few images. You can also delete what you don't want. I hope this helps JeanLouis. It can be daunting to try these new things, but once you experiment a few times, you'll feel much more comfortable with it. Please let me know if you have any other questions. I'm happy to help any way I can. Hi sue! Thank you for adding me to your network. I have added yu to mine as well. I have a friend who lives in her RV and supplements her income along the way, like selling photographs and crafty things online. She does a lot of videos about how she does this on a shoestring budget as well. She really enjoys being on the road! Hi Anita. Thank you for completing this connection between us. It's great to meet you. From your bio, it sounds like you have a very interesting background. I look forward to checking out your posts and updates. I'd love to hear more about your friend and maybe connect with her via her website. I'd love to check out her videos too. I'll pass your website on to her. Her videos are on Periscope. her name is "Spirit Baker." She is in California now and hasn't posted much lately on Periscope as she hasn't had the signal to do this while she has been out in a lot of the areas through New Mexico and Arizona. She has posted a lot of pictures to her Facebook page. Thank you, Anita. I really appreciate that. I'll look forward to hearing from her. Great to see you living the great outdoors! I might do that one day and in fact, when I am successful through WA, I will be able to work out of an RV like yourself. I had a quick look at the website but will look into more detail later. I am fixing up a few issues with page headers and I need to get it done today for a possible meeting later this afternoon. I will get back on the site with a comment. One thing I did quickly notice was I couldn't leave my details in the contact us page. I was unable to type in the text areas but the page looks great. Thank you for the follow and will chat with you soon. Hi Brad. Thank you so much for checking out my website. I'll look into the contact page problems. This was a template I used with Elementor page builder and that's most likely the problem. I look forward to our continued connection here on WA. Yes, I have to say, living in and working from my RV is the BEST! I also have a part-time job working in an RV park for at least the next 10 months and then, hopefully, hit the road once again. For now, it's short trips from Thursday through Sunday. Yes, I will keep in touch and send a message on the site. I am sorting out some issues with my site and was hoping to get down to the Novotel today to promote my Black Opal. I will have to do it tomorrow cause I need to fix up a few SEO issues with redirects. I had to get away from writing and fixing stuff and went through the rest of your website that I missed earlier. I sent a reply but I am not sure if it went through? I can't see it under your reply to Rika. But maybe it takes a little while to process? If it didn't go through can you let me know and I will send another. There is one small problem with SS. You have the https link but it is not fully secure. Maybe check the SSL in Siterubix to see if it is on. Apart from that Great stuff. And you can have many niches within RV travel. Bucket loads. It is getting exciting now. Thank you, Brad, for the wonderful comment. I left a reply for you. I'm not sure about why it wouldn't be fully secure. The SSL is on. I also noticed that my site health went back down into the red again too. I haven't posted in almost two weeks and that's possibly why. I had to send a message to SiteSupport the other day when I received a message upon logging in to my site that it was not secure. They fixed the problem within minutes but I wonder if there is a lingering issue. I took a look at your Opals N Jewels site. Wow! I'm now richer with knowledge and realizing that I'm going to have to save my pennies for a fire opal. Beautiful. I'm wondering, Brad, if maybe I shouldn't have built my site with Elementor. I used that page builder with several pages, but I could not use it with my blog post page. That's why those pages seem so plain to me. Sorry my comment was so lengthy here. Thank you for the comment and for checking out my site. I appreciate your feedback very much. I just got back in. I had to get away from the computer and went and got some beers. Japanese Asahi, a nice drop. I am enjoying one right now as I read your terrific comments you left on my site. With Elementor, maybe that is affecting your SS. I'm not sure cause I am not familiar with that plugin. Do you have a premium SEO? I have tried both All in One SEO premium and Yoast SEO premium as a compare factor and I will have to say Yoast wins hands down for mine. Talk soon and it is great meeting you, AND say hello to Mike for me, even though he doesn't know me hehehe. I said Mike, I meant Mark. Good Wednesday morning, Brad. I really appreciate the guidance you've given me on my site. I may contact SiteSupport today and ask about SSL. It's definitely turned on, but with the problem the other day, there may be a lingering issue. As for Yoast versus All-in-One SEO, I've wavered between both and have been meaning to switch back to Yoast as I believe you get many more optimization benefits. You're very welcome about the comments I left on your site. Very polished, professional and interesting. No worries about Mark's name. He says, call me anything, just don't call me late for dinner. LOL! Thanks, my friend, for this great connection with you here on WA. Thank you, Sue, for this great connection and help. If someone told me in May of this year I would be doing the things that I am doing now in WA, I would have told them they have rocks in their head. But WA has really changed my direction in life. And is giving me the great opportunity to meet terrific people like yourself. It would be fantastic if we could all get to the 300 mark and meet up in Vegas one day. That would be perfect AND who knows, it is possible. Hey Brad...yes it is possible and so many before us have proven it so. I've had only two referrals since joining and neither ever went premium. When the time is right, our referrals will start rolling in. I'm confident. It's even better when we can connect and build strong bonds with those with our same mindset and focus. I love that! I will go to Vegas one day and I know you will too. I'm striving for next year. How about you? Let's continue to help each other out and hopefully keep each other motivated in the direction of a nice Vegas vacation. You have motivated me even more. I am checking out something on you tube. If it looks okay I will fill you in on it. Sorry, I thought you were only joking when you wrote Suee. Ah! I put my foot in it didn't I with my response like a sheep! Hahaha...not at all, I thought you were just trying to make me feel better for my typo. LOL! As long as we laugh that's the main thing. 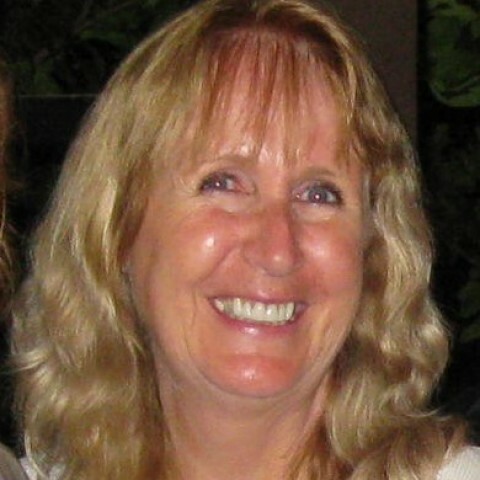 A pleasure to meet you, Sue and thanks for adding me to your network. I have added you to mine as well. Did you follow me because of my Website? I'm curious to know why members follow other members. Would you mind if I had a look at yours? I hope it's going well and you are reaching your goals. I look forward to connecting from time to time. Hi Wayne! It's funny because I had no idea your niche and mine are so similar. You had made a comment on the Affiliate Bootcamp page and I liked your post there and that's why I clicked to follow you. LOL! I would love for you to have a look at it. The home page is done, as is the About Us page, but I'm still working on the format for the blog page, and other subsequent pages. The content is there, I just want to put it into a template of some sort and there are a few placement issues to work out. It's great to be in contact with another RVer. There are a just a few of us here on WA. My awesome wife and I are not full timers nor have we had any great adventures to write home about but, we like to get away in our travel trailer from time to time and have a favorite spot that we frequent in northwest Washington State. It's close and convenient. We are still both working in regular J.O.B.S, wife full time and me part time. Someday we hope to have more time to venture further afield. An RV website just seemed like the obvious choice to start this journey. Anyway, back to work so WE can both retire sooner rather than later. We actually both still work too. We only work three days a week. My husband works in building maintenance and I am a manager in the RV park where we live. My job allows us to live here in our RV rent and utility free, plus I get a salary too. Within the next two years, we'll both start collecting Social Security and that's when our full time traveling will begin again. We've traveled to Oklahoma where my husband is from and up to Washington state where I'm from...Spokane to be exact. It's great chatting with you Wayne. Let's keep in touch when we can. I thank you for the Follow and I follow you also. You seem to really enjoy your travels and <work> with your RV. My wife and I have talked about trying this for a while. I have looked at your website and I thank you for all of the useful information. Happy travel and enjoy your weekend. Hello Jules...It's great to meet you and complete this connection. My husband and I love this lifestyle and couldn't imaging going back into a regular fixed structure. I wish you all the best and if you ever need any advice, feel free to drop me a line. I thank you for your response and you can be assured that if we decide to try this adventure, I will communicate with you. Hi Kelsey. Oh yeah, I am really enjoying my time here at WA. Just hit the six months premium mark yesterday and almost a year in total. There is no better community or learning platform anywhere. I can see you are well ahead of me, up and running so to speak. I have 2 websites but as I do not sell much on the sites it is more passing on of information I think it will be slow to build up momentum. All the new people I meet here I ask the same, in case you need a good source for writing have a look at my WA post on the Spanish priest and the world library, great information can be found there. Hello Taetske. It's great to make your acquaintance. Thank you for the tip...I'll check out your post for sure. Wishing you great success in all you do. How do you do? I love the Johnny Cash song! I am also an RV enthusiast. I am currently living in a 17' travel trailer which is parked on my parents property. I am taking care of my parents so road trips are out for now but the future plans are in place! I am excited to be here and learn and grow more each day here at WA. I thank you for the following. Have a great day. Hi Valerie, It's so nice to meet you. :) I agree about Johnny Cash. I detested that song when it first came out, but I was pretty young then. It's so great to meet another fan of the RV lifestyle. We also took care of my husband's parents when they were still with us, so I know exactly what you're going through. Thank you for the follow. I look forward to reading your posts and updates. All the best. Best Of Luck with Your SEO Keywords Thanks for Following Back! If I can Ever be of Help Please feel free to drop me a PM. Hi...thanks for the nice message and for the connection. There is SO much to learn here but every day is a new opportunity to grow. I wish you all the best! Dear Sue, thanks for sharing and for accepting my invite, much appreciated. Seems you're doing very well, so keep on track and let's stay in touch. Desmond We are here to help! Thanks for the very warm welcome, Shawn. I've been a member for nearly a year and premium for almost six months. I love WA! I'm nearly done with Course 3 and will soon on to Course 4. My next step will be to get out of the monthly premium mode and pay yearly. Thank you very much for your offer of help and I absolutely will check out your websites. I would love for you to check out my website as well. I wish you all the best, Shawn. My pleasure Sue! Best of luck with all your training. I also decided to go yearly as it turns out to be cheaper on a per monthly basis. Let me know if there is anything I can help you with. Thank you, Shawn. I will definitely do that. Your RV web site looks cool. I've always wanted to someday travel the country in an RV - I just have to find the right person to travel with. :-) That's a great idea for a niche, and lots of products you can link to with a blog about RV's. Hi Wendy...it's so nice to meet you! Thank you for your comments on my website. It is quite a journey and one that I know will take me in many directions. You're right that there are lots of products related to travel and RVs. I'm just starting the training about writing reviews, so I'm anxious to start doing that too. Wishing you all the best. Hello Sue,♫Welcome! Nice to meet you ツ I wish you a lot of learning pleasure and fun on WA. Thank you for adding me to your network. Thank you very much, Loes, for following me back. I will definitely check out your blog (and your lists). I'm a list maker too. All the best to you. Excellent website Sue! A lot of great info about the RV lifestyle. I will refer to it when I buy my RV. Ah, yes, Johnny Cash. Got married in May. Honeymooned in June. Ahem... Thanks for following me, Sue. Looks like you have a lot going on in internet marketing. I hope you are and continue to be successful at it. I'll keep an eye on your blogs and other endeavors here at WA. Hello Hal! Glad you got the reference. You've got a great sense of humor! I really enjoy this affiliate marketing venture. Wishing you success in all you do. Hi Sue, I just love your website. The universe sure works in mysterious ways. My husband and I were thinking of taking our daughter and hitting the road, but of course, have no idea what to do or if it's even something we can do. Anyway, I just thought it was interesting that we have been talking about it and your website comes along. Thank you so much! Yeah, I agree, the Universe is pretty amazing, isn't it! If you have any questions about life in an RV, please don't hesitate to ask. I'm happy to help you any way I can and give you as much advice as I can! Oh, and thank you for your sweet comment about our kitty too. She's such a good girl and seems to love our adventures as much as we do. Keep in touch, okay, and I'll do the same. I have seen you around in the community and I have noticed you liked some of my comments. I like your comments, always an extra sentence with a friendly and helpful message. Therefore I thought it would be nice to get to you know you a bit. I will follow you now. Had a quick look at your Website. I find it very inviting. My husband and I have been traveling around once in a motorhome. That was a great experience. We will certainly do that again. May I ask you what RV means exactly? Sue, I wish you ongoing success with your online business and much fun traveling around as well as crafting. Thank you for the follow. I'm also following you back. It's very nice to make this connection with you. I'm glad you had a chance to take a look at my website and that you were pleased with what you saw. 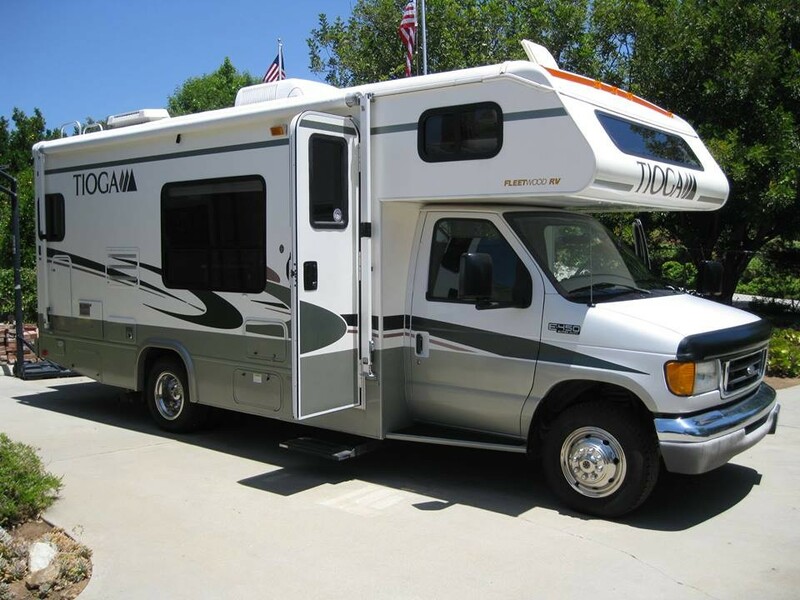 RV stands for recreational vehicle and it can mean a motorhome, travel trailer or a 5th wheel. Each has its own unique distinction. It's terrific that you and your husband had an opportunity to travel in a motorhome and to experience the lifestyle. I wish you the best in all you do. I look forward to our paths crossing as they will. Yes absolutely, happy to see you around in the community and share experiences now and then. Sue, thank you for explaining the meaning of RV. Here at WA I'm not learning only internet marketing, I learn also English and thousends of other topics. Fantastic! Want to thank you for following me as well. Can you check my website out? 1st post is there...finally after wrangling it to the ground today!! WHEW! Phil (feigner) was my life saver!! Hero man for sure!! I'm on my way!! YIPPEE!! My BD is on Wednesday...and hubby is off the next two days, so not sure how much more I'll get done, but first chance I get...2nd one will be getting worked on. Woop Woop!! How are YOU doing with yours? Hi Evon. Your site is really shaping up beautifully. Just read your "about me" page, along with the first post and they are wonderful. Happy Birthday tomorrow! Thank you! It was a real trial yesterday getting it up and working. feigner (Phil) was very resourceful in helping me to understand I had to have a featured photo to get it on my home page (a theme thingy). Also learned about a blog roll and categories to roll them into. Soo much info, I still feel as if I'm feeling around in the dark. But I know that comes with learning anything new. i'm on my way to finally getting the blog posts up...now if I can only create more time to do it. Ha ha!! I will...Tom has stuff planned and family stuff to the next two days. I'm sure I will be partied out! Lol All good tho. Will connect with you soon...how's your website(s) coming along? Happy Birthday today, Evon! Party hardy...as they say! LOL! My website is coming along. Still thinking about changing the theme and will do a backup of the content before I make the change. Today is my Friday, so I'll have some time to work more on my training and on the website. Have a great day. Celebrate!! We had some fun yesterday (a day early). Went out for brunch, to see the movie "Beauty and the Beast", and Tom took me on a goody hunt at Joann's. It's raining today, so I'm back on here while he works on cleaning his room. I'm mostly answering Birthday greetings today...maybe even have time to put my 2nd blog post up, we'll see. Someone has been getting crabby again, so I'm trying to lay low. Have a fun Friday...will try to connect with you tomorrow sometime. Thanks for completing the connection! If you check out my websites listed on the right side of my profile and leave a comment on one of my sites or follow socially I will reciprocate for sure! The activity helps all our marketing efforts! Thank you as well. I will definitely do this! I love checking out other websites and happy to give feedback too. Best wishes for all you do. Fantastic!! Can't wait to see your comments on the sites and hear you're feedback! And thank you for following me too. I love the daily motivation. Left you a comment as well. Wishing you success in all you do. 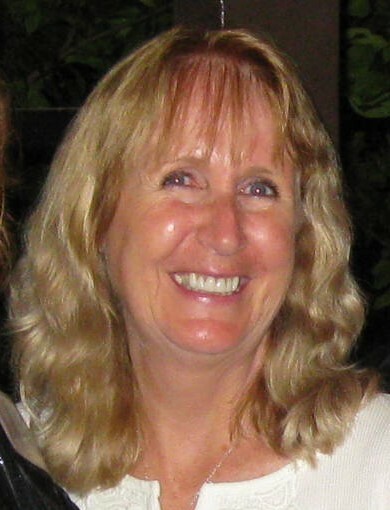 Hello Sue - a fellow writer welcome to Wealthy Affiliate. Since you joined way back in August last year and with your previous experience you will surely have realized that internet marketing can be a steep learning curve. If you do get stuck then can I suggest you browse some of the 290+ blogs I have published within WA. Hello Robert. Thank you for following me back. I will check out your blogs...I'm amazed 290+! I did join several months ago but was a little intimidated by the vastness of WA. Once I had a chance to really look around, I've shaken off that fear and submerged myself into the training. No probs Sue and yes it can be a wee bit overwhelming at first. Once you get into it though its a breeze and especially if you are following the right people. By that I mean people such as myself who have been here for at least a couple of years and not those'Johnny Come Lately's who profess to know all there is to know when in actual fact know very little. I'm sure you have a head on your shoulders and you will suss them out. You have to be able to do this because the wrong advice can set you back weeks if not months. Get in touch if/when you get stuck. Thank you so much, Kyle, for reaching out to me regarding my niche(s). My main focus at this time is travel, RV travel to be specific. 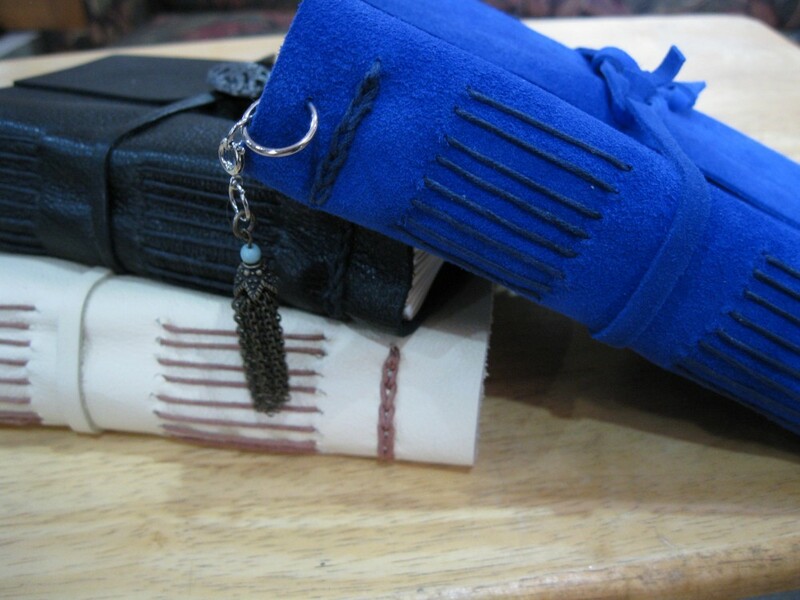 Another interest is handmade leather journals. Not sure if I should keep these two interests separate or try to merge them in some way. I just now set up my first website here and have two other websites to transfer to Wealthy Affiliate. Thank you for following me. I've followed you back. Please feel free to reach out to me for any assistance here on WA. I am committed to building success and helping others do the same. Good luck to you. I have managed to build a SOLID stream of income, and if you want to private message me I would be more than happy to network with you and share exactly what it is that I do and how I do it. I had some great mentors when I first started and I am looking for someone to mentor myself. I want to be that mentor for you! It is completely achievable and I've managed to tap into a niche that has AMAZING growth potential. I'm also more than willing to learn from you. Hope to speak with you soon. Thank you. Thank you, Mason! It's great to have a connection, especially in such a vast sea of opportunity here at WA. I'm a bit overwhelmed, but slowly getting my footing. I am thrilled at your offer to mentor me and I gladly welcome all the help I can get. Thank you! I will respond to your private message later this evening. I am definitely intrigued. Thank you again, Mason, for reaching out to me. Welcome to WA premium and congratulations, with the premium service you are in the right place to learn while having fun. Here you will find everything you need to succeed. This is the same step , I have taken, a few days ago, and I am delighted. It's Anh from Bloggingthing, welcome to Wealthy Affiliate! This is the most inspiring community I've ever found on blogging and online marketing. My ultimate advice? You have 7 days to experience the Premium features like getting comments and feedback on your blog, and asking for help on live chat - make the most out of it, see if it's right for you. Beware the Lion or the Lamb?